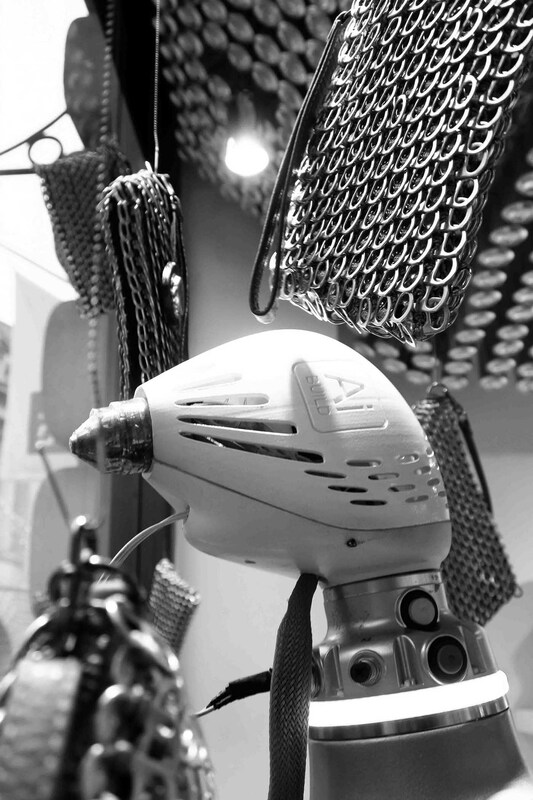 LONDON, BIOT - Dec. 5, 2017 - PRLog -- Technology company AI BUILD and sustainable luxury fashion brand BOTTLETOP have launched a ground-breaking partnership, focusing on the use of advanced 3D printing technology as a means of achieving environmentally responsible construction. 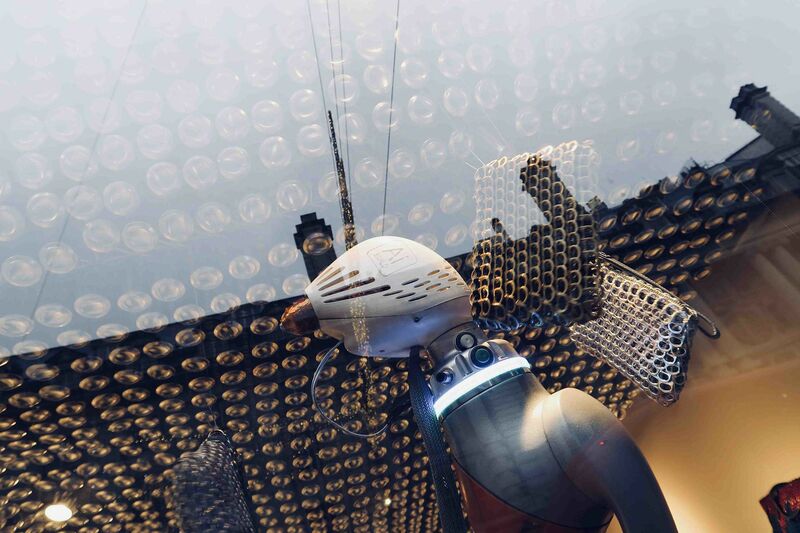 The first project of the partnership is challenging the retail space construction through robotic fabrication of the interior finishes of BOTTLETOP's first London flagship store. 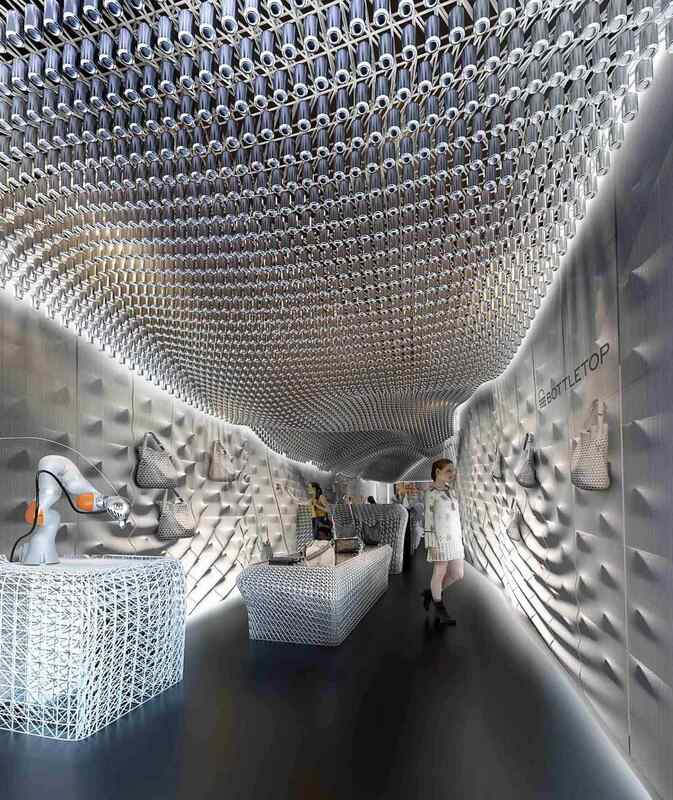 The interior of the store, designed by KRAUSE ARCHITECTS, is entirely 3D printed using AI BUILD's proprietary technology. In line with the sustainable values of BOTTLETOP, the store's interior is produced using REFLOW filament, which is upcycled entirely from plastic waste, making the construction a zero-waste design. KUKA's 6-axis industrial robots helped bringing the project to life. Daghan Cam, AI BUILD's Co-Founder and CEO, said about the partnership: "This project is a demonstration of how cutting-edge technology can be the solution for some of the most challenging problems of humanity like environmental pollution. We are very proud to be working with likeminded partners to turn plastic waste into a luxurious construction by using robotics and artificial intelligence." The 3D printed store concept, inspired by Paolo Zilli – Senior Associate at Zaha Hadid Architects, is a world-first in retail and contributes to a broader positive ecosystem in line with the values upon which the BOTTLETOP brand and collection are based: those of sustainable luxury, ethical design, technical innovation and cross-cultural collaboration. Speaking about the new store design, BOTTLETOP Co-Founder Oliver Wayman said: "For the first time, visitors to our store will be able to witness the sustainable use of this technology first hand while shopping the BOTTLETOP collection and learning about the mission of the brand." 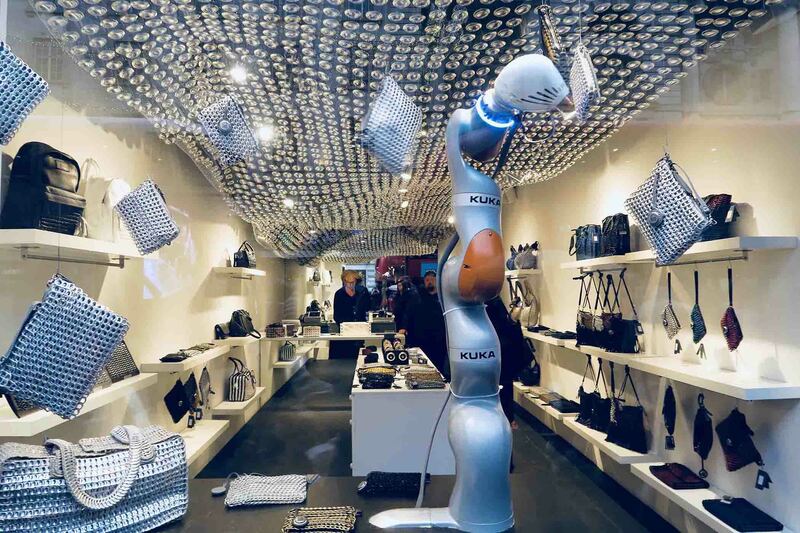 Customers will be able to experience the store's transformation over the next two months, as well as interact with KUKA's latest LBR iiwa robot. 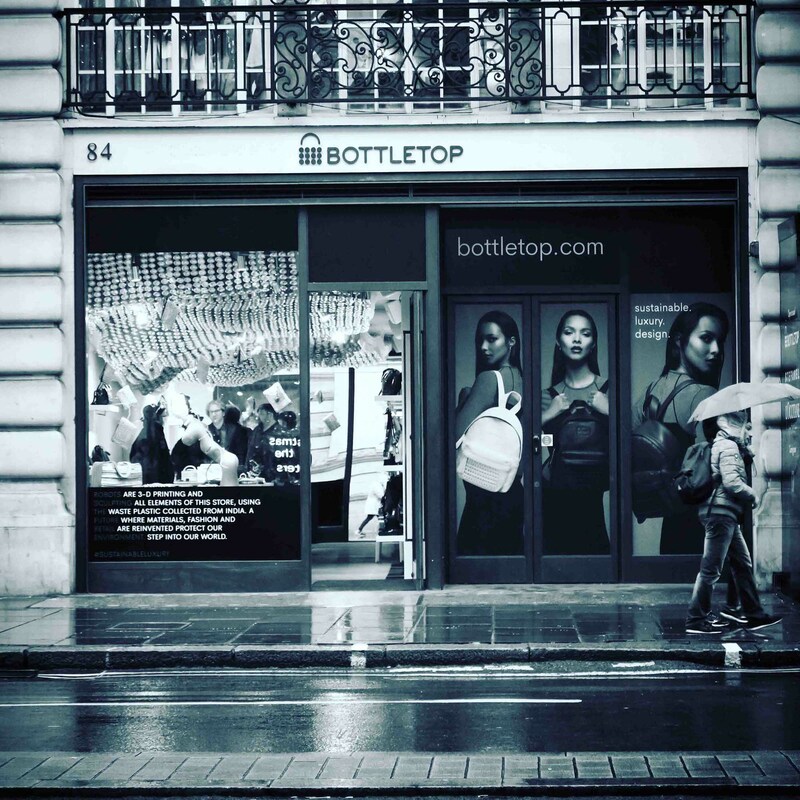 BOTTLETOP's flagship store is located at the heart of London, at 84 Regent Street W1. Ai Build is a London based company developing Artificial Intelligence to make manufacturing easy, smart and affordable. Ai Build offers an autonomous 3D printing technology for large scale applications such as construction for manufacturers to be able to produce complex designs in short amounts of time, without human labour or material waste. BOTTLETOP launched in 2002 through a design collaboration with Mulberry, and launched the first luxury bag design made entirely from up-cycled materials. It went on to develop its collection of bags and accessories featuring custom production techniques and its sustainably sourced signature materials; up-cycled metal and certified zero deforestation leather from the Amazon. The sale of BOTTLETOP designs fund the operation of the BOTTLETOP FOUNDATION, which supports health education projects.